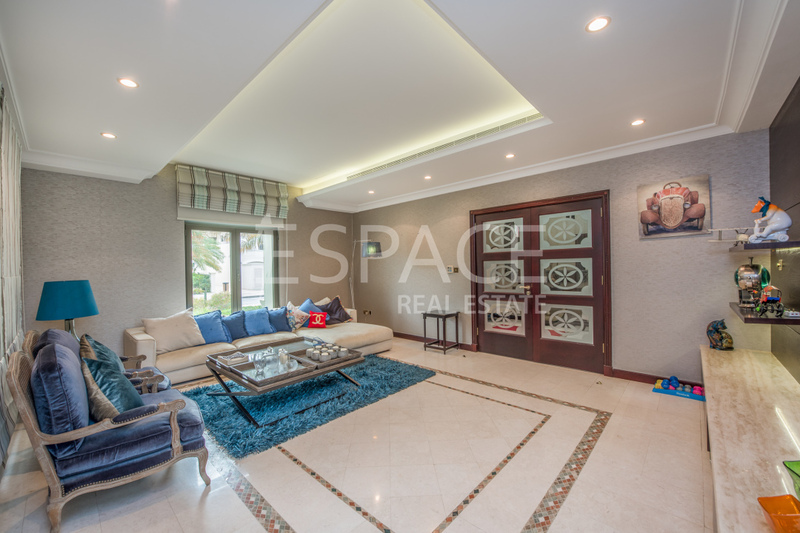 Espace Real Estate is proud to offer this amazing, spacious 7,400 sqft plot size and 5,500 sqft BUA size Atrium Entry villa located in Frond M Palm Jumeirah. 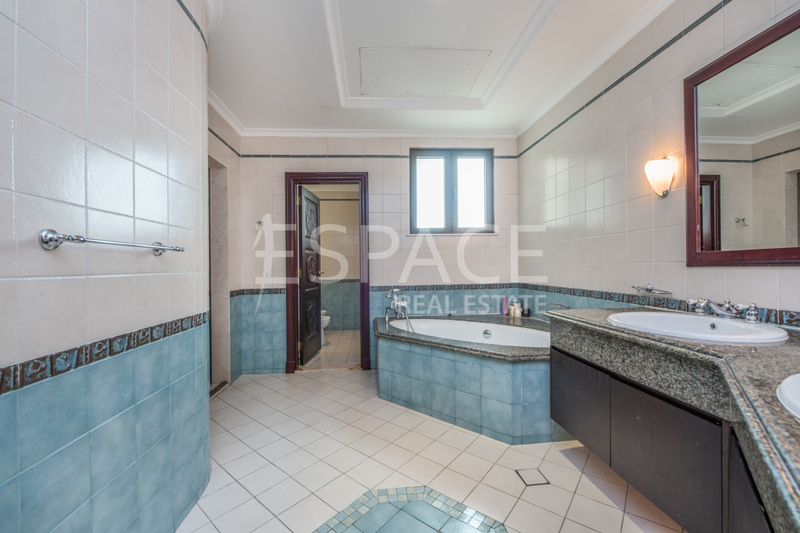 It is well presented and offers a large living area with dining area, a closed off kitchen with a utility area. 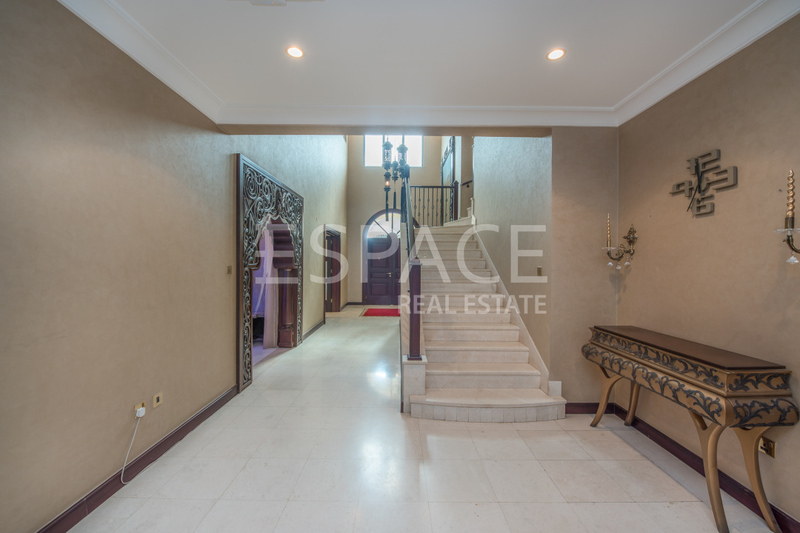 It has an amazing high-end royal interior which makes the villa astonishing. It consists of 4 bedrooms each with fitted wardrobes and en suite bathrooms, an internal maids room, double garage and a good sized garden. It has a swimming pool, barbecue area and also have a private beach.It is offered on a furnished basis.